Promises to make housing, loans and even cell phone plans more affordable for everyday British Columbians are among the highlights of this year's throne speech. Lt.-Gov. Janet Austin opened up the spring session of the legislature Tuesday afternoon by laying out the minority government's priorities for 2019, promising action on affordable housing and child care, as well B.C. 's first poverty reduction strategy. The speech also includes pledges of stronger protections for consumers, like better oversight of payday loan practices, new rules for concert ticket sales and more transparency in billing for mobile phones. "Affordability remains the biggest challenge facing B.C. families. Many people are working two or three jobs, commuting farther for work, and spending less time with their families, just to make ends meet. But no matter how hard they work, they cannot seem to get ahead," Austin said. The province is promising to speed up development permit approval processes, so that affordable rental housing can be built more quickly and to address recommendations from the Rental Housing Task Force. "Too many families face the impossible choice between a home that meets their needs, paying for child care, or buying groceries for their family," Austin said. Her speech says the province will begin the process this year to develop legislation ensuring universal affordable child care. Some of the consumer protection measures in the speech include a cap on fees for cashing government cheques, a ban of software that allows scalpers to buy large numbers of concert and event tickets and a legislative review of billing practices for mobile phone plans. On the contentious question of money laundering in B.C. 's casinos and real estate, the government is promising to close loopholes and hold criminals responsible. 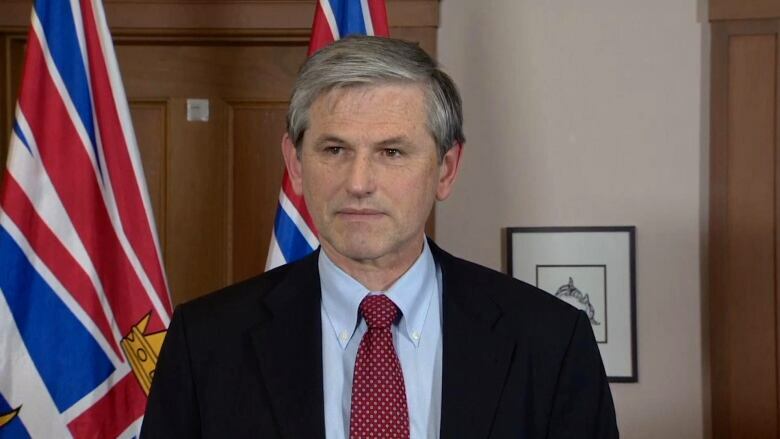 "British Columbians are rightly outraged by the possibility that our province's unacceptably high housing prices are fuelled by the profits of crime, both at home and abroad," Austin said. 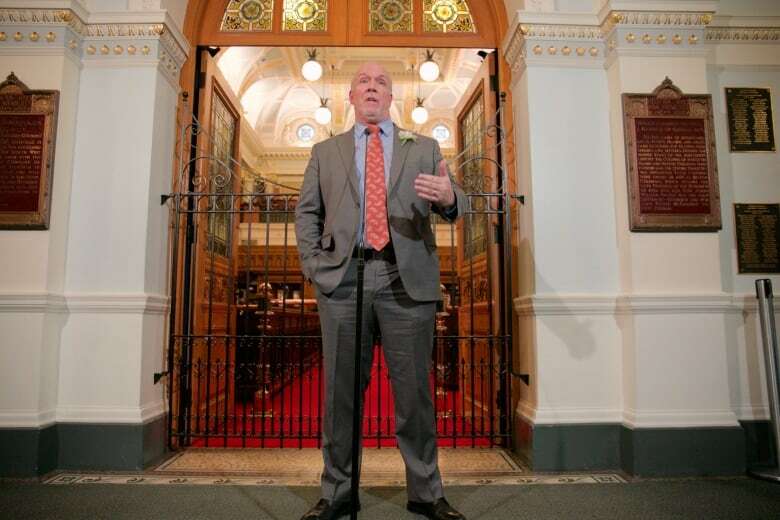 The speech also includes a promise that B.C. will be the first province in Canada to introduce legislation implementing the UN Declaration on the Rights of Indigenous Peoples, and a pledge to continue addressing the escalating losses at ICBC. 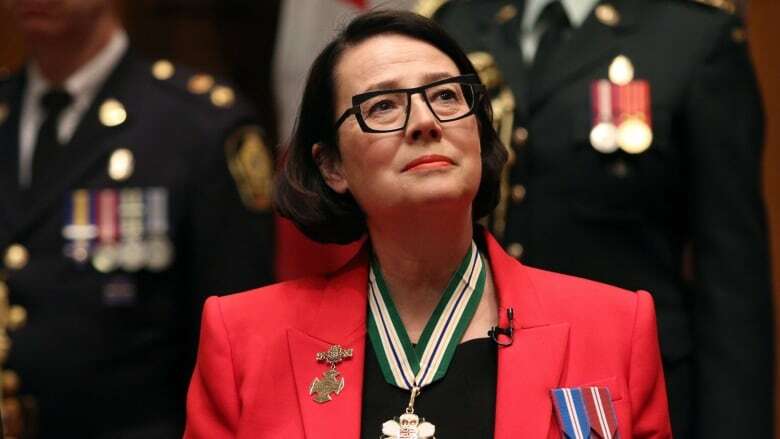 The lieutenant governor's address ended with a nod to the spending scandal currently unfolding at the legislature, where the suspended clerk and sergeant-at-arms are accused of flagrant misuse of public funds. Austin said the legislature's strength is built on a foundation of public trust, but "that trust was recently shaken." The government is pledging to bring in reforms that will help restore the public's faith. In a news release, Premier John Horgan said the province's initiatives have already put more money back in people's pockets by freezing ferry fares on major routes and gradually eliminating MSP premiums, among other measures. "We are on the path to better health care for patients, quality care for seniors, better schools for our kids, more opportunities for young people, and good jobs with good wages in every region," Horgan said. B.C. Liberal Party Leader Andrew Wilkinson said the speech didn't do enough to address the economic hardship faced by people who work multiple jobs. "This is a government that's running out of gas," said WIlkinson. "They took 20 minutes to mention the word "jobs.'" Wilkinson singled out what he called "token" initiatives like reducing the cost of concert tickets and cell phone bills, which he pointed out is federal jurisdiction. "We're gravely concerned because there are a lot of economic stormclouds on the horizon," Wilkinson said. 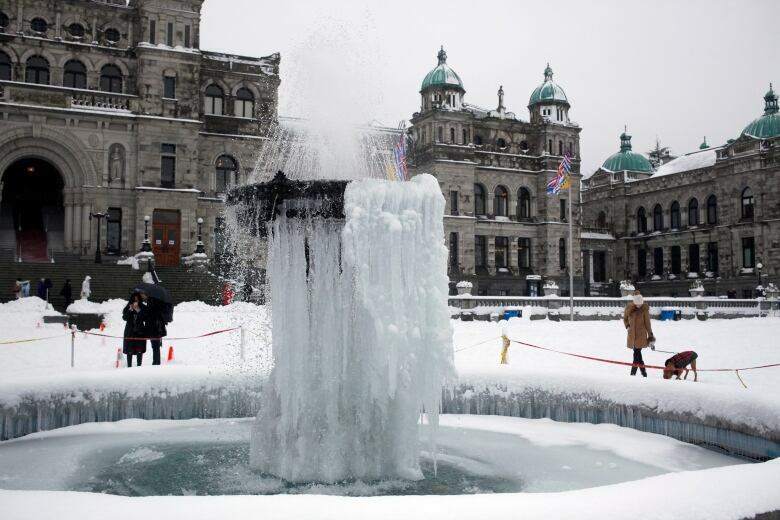 Gerald Baier, a political science professor at the University of British Columbia, said it was a "stay-the-course" throne speech with no major new policy announcements. Instead, the government pledged to continue making progress on existing priorities. "From the government's perspective, they want to look like they are governing and doing so in a very stable and not particularly radical way," said Baier. Baier believes there will be more specific initiatives included in the budget, which will be announced by Finance Minister Carole James next Tuesday. Tuesday's ceremony had to be scaled back because of a snowstorm. The usual military honour guard, ceremonial cannon salutes and a performance by the band from nearby Canadian Forces Base Esquimalt won't take place because of the weather. Austin made note of the weather when she attended the legislature Tuesday morning to formally end the last session before the throne speech. "It's wonderful to see you here on this crazy, snowy, but actually very beautiful day," she told legislature members.